Beach City Bugle: Steven Universe Panel at San Diego Comic-Con 2017! Steven Universe Panel at San Diego Comic-Con 2017! Just announced this morning, the Steven Universe panel is back at San Diego Comic-Con! The panel will be on Friday, July 21st, at 11 am. 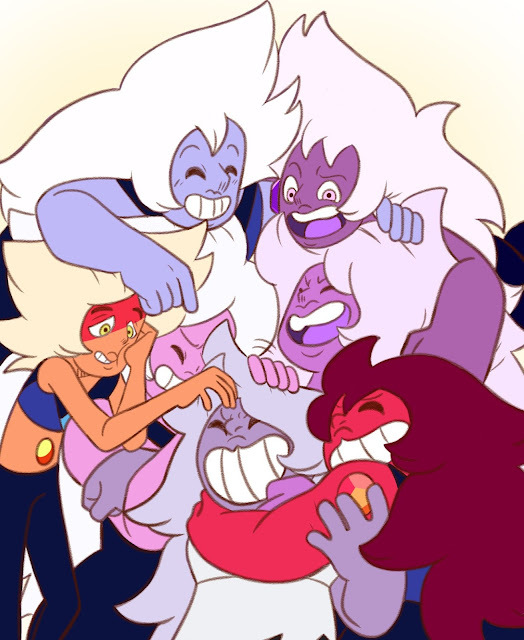 On the panel, we will have Rebecca Sugar (creator), Deedee Magno Hall (Pearl), Michaela Dietz (Amethyst), Estelle (Garnet), A.J. Michalka (Stevonnie), and Zach Callison (Steven) who will be acting as the moderator. There will be never-before-seen footage, exciting announcements, and a Q&A session at the end! You can bet that I'll be there again! Click here to read the entire panel description.